I know what you are thinking. Chocolate chip cookies...a little over done right? Usually I would be right with you on that one. But these cookies really are different. A double batch of these guys (that's over 80 cookies) have been known to disappear from the teachers' lounge well before 10am. Justin uses words to describe these babies that I can't put on this family friendly blog. If my mom hears that said cookies were in the teachers lounge and she didn't get any sent home she gets mad at me. Like actually angry. 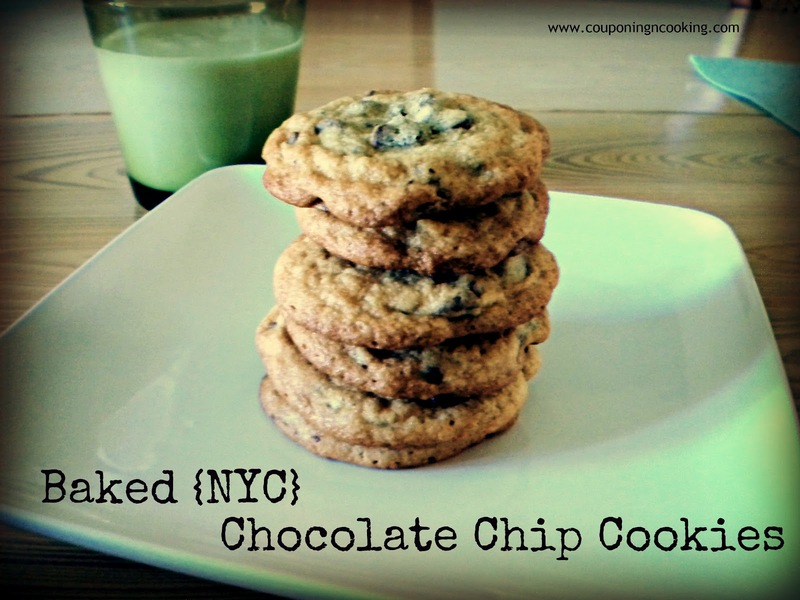 Before discovering this recipe in Baked: New Frontiers in Baking (the same cookbook that brought you Sweet & Salty Brownies and from the owners of Baked in NYC of Food Network fame), I had a number of chocolate chip cookie recipes I would switch back and forth between. One taste of these over a year ago and I have yet to make them any other way. I will admit that if you like thick and fluffy chocolate chip cookies these may not be for you. They are a little on the thinner side. Yet, they have this amazing ability to stay a little crisp on the outside but totally soft and chewy on the inside that I have yet to find with any other recipe. The recipe calls for more brown sugar than white which gives this treat a more molassesy and caramel taste than your average chocolate chip cookie. There is also an overabundance of chocolate chips which does nothing but up their rating in my eyes. I like to mix up the type of semi sweet chocolate I use. This time I used half regular sized chips and half mini. I also like to add in chocolate chunks too when I have them on hand. 1.) In a stand mixer (or you could use a hand mixer) beat together the butter and sugars until light and fluffy, (took me about 3 min) Scrape down the bowl and add in the eggs, one at a time, until completely mixed in. The mixture will look light and fluffy. Add in the vanilla and beat in for 5 seconds. 2.) Combine all your dry ingredients (except chocolate chips) together and then add half the dry mixture into the wet ingredients. Mix for about 15 seconds to incorporate then add the rest of the flour mixture and mix until just incorporated. Do not over mix. 3.) Lightly fold in the chocolate chips. Tightly cover and refrigerate anywhere from thirty minutes to six hours depending on how patient you are. 4.) Using a heaping tablespoon or a medium sized cookie scoop place balls of dough on a greased baking sheet or one lined with parchment paper. Bake at 375 degrees for 10-12 minutes rotating the tray half way through. Look at all that chocolate! Recipe makes about 36 medium sized cookies. Enjoy! Looks good! I just pinned it in hopes of trying it later! Thanks for sharing. These sound amazing and I'm totally making them tomorrow! I was randomly craving chocolate chip cookies today (but if I make them right now, I'll be on a chocolate high til 4am). Tomorrow will be wonderful! Saying hi from Bear Rabbit Bear's linky! We just finished off the batch you brought for our anniversary and it was a fight to see who got the last two! YUM! One can never have to many Chocolate Chip Cookie recipes, and I can't wait to try this one, it looks delicious! Hope you are having a great week and thank you so much for sharing with Full Plate Thursday. I always love CC cookies! Thanks so much for linking up! Gosh, I did not need to hop over from Craftionary to see these cookies. I am just glad I do not have any flour or choco-chips or my diet would be out the window. Still I am pinning this for the future (like maybe next week!) Now I am craving hot cookies with vanilla ice cream! OMG! 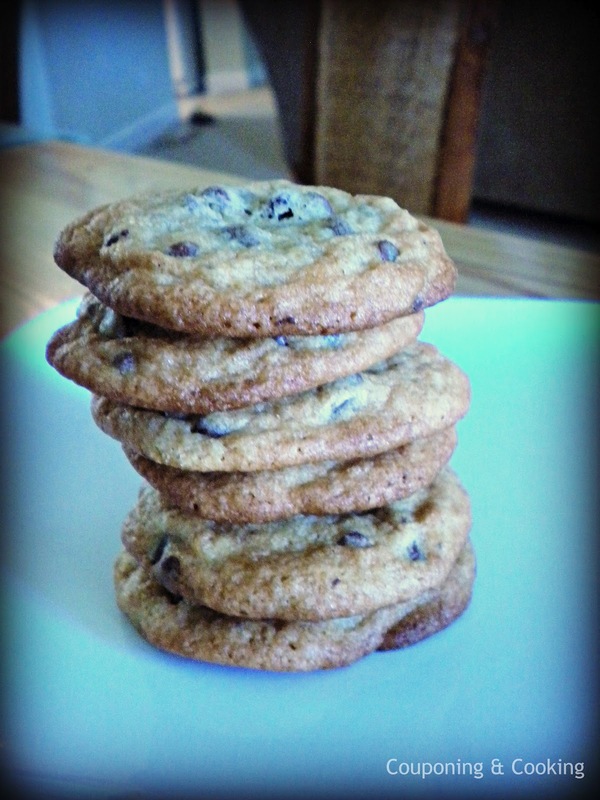 Chocolate chip cookies are my absolute fave! These look amazing Thanks for sharing at the Pomp Party! Pinning to our Pomp Party board! Looks great! I love a good chocolate filled cookie! 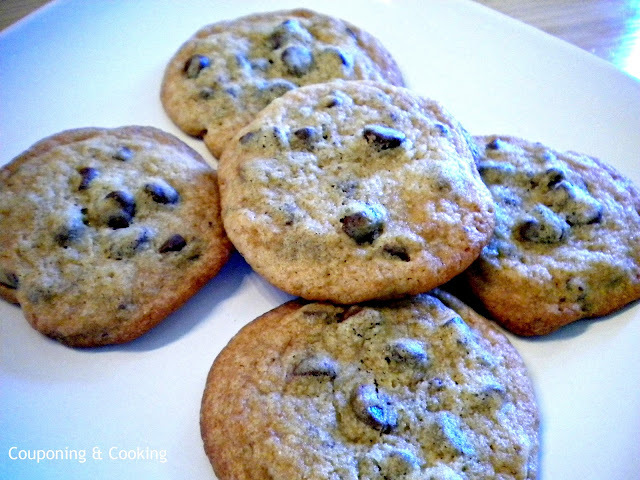 Who can resist chocolate chip cookies like these?? Those look really good. One of my favorite things to do is mix up all of the different sizes of chips in cookies. I think it adds to the fun and aesthetics of the cookie :) I will have to make these soon! We made a new chocolate chip cookie recipe recently on Five Little Chefs and it did NOT turn out well. I will have to try your recipe! Thanks for linking up at Fantastic Thursday at Five Little Chefs. Hope to see you there next week! I wish I had a few of those to bunch on right now! Yummy! Following you from the hop! Hi, I'm over from Miz Helen's. Like most everyone on the planet, we love CCC. you just can' go wrong with Choc. chip cookies! great photos and site, visiting from Pamela's heavenly treats! Yummy! 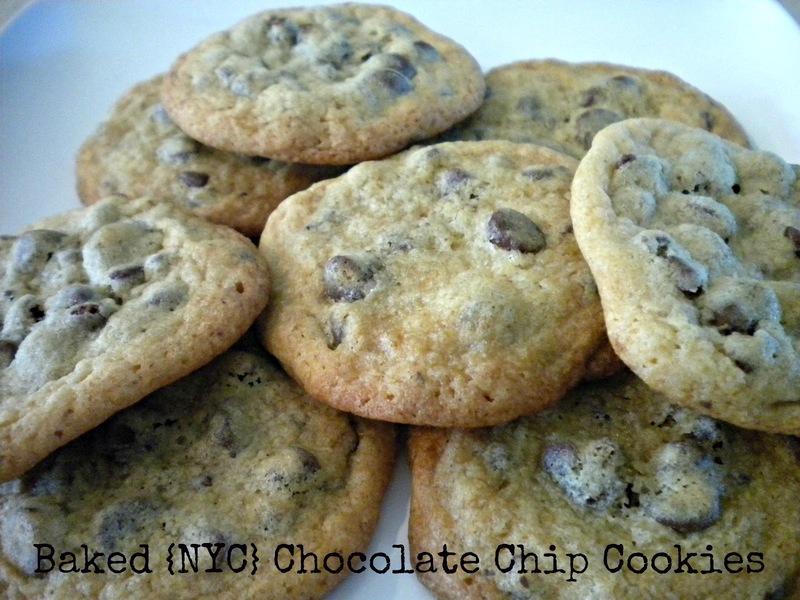 Will have to try these soon...I have a bag of chocolate chips in my pantry! Visiting from Serendipity and Spice. These look delicious! I would love for you to come and share on the Creative Corner Hop. Our linky will be open all week. Kaylee, this is fabulous. I'm always looking for a good cookie recipe and I definitely like a nice crisp outside. Thanks for sharing at our party this week. These look delish! Thanks so much for stopping by Creative Thursday last week. I couldn’t do these parties without you. Can’t wait to see what you link up this week. Have a wonderful week. These look delicious! I like cookies harder on the outside and soft on the inside, so I will have to try these. Also, the more chocolate chips the better! Thanks for sharing at Showcase Your Talent Thursday! pinned it! thanks for linking with Kids in the Kitchen! we love having you! YUM! These look insane... I will have to try these out! Mmm, mmm, mmm! I have to try this recipe. Thanks for sharing at our Pinteresting Party. As soon as I saw the brown sugar, I knew this recipe is a fab one. Brown sugar makes all the difference doesn't it? Thanks so much for sharing at Tout It Tuesday. Hope to see you next week. Wow, these are awesome! I love brown sugar in a chocolate chip cookie! I love chocolate chip cookies of all kinds! This is very similar to my recipe too and I agree...very yummy!!! Thanks for sharing on Trick or Treat Tuesday!!! Thanks so much for sharing this at The DIY Dreamer.. From Dream To Reality! I can't wait to see what you'll be linking up this evening!